Rich in easily absorbed proteins, this bar increases the body resistance to stress. The whole goji berries fruits are well know to be rich vitamin C and a number of essential microelements. The bar supports you to fight fatigue and provides immediate release of energy. 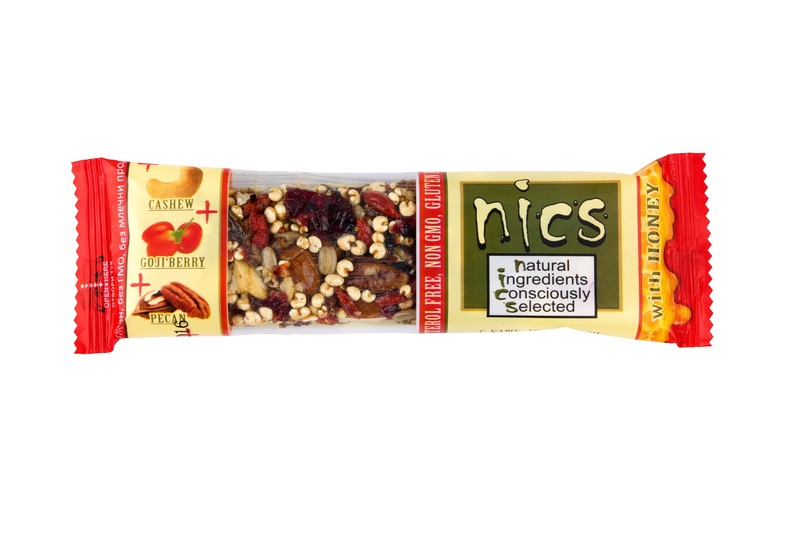 INGREDIENTS: honey (24%), cashew (18%), pecan (10%), cranberries, raisins, almonds, goji berry (7%), plums, sunflower seeds, puffed millet, rice oil, thickener:agar, salt.